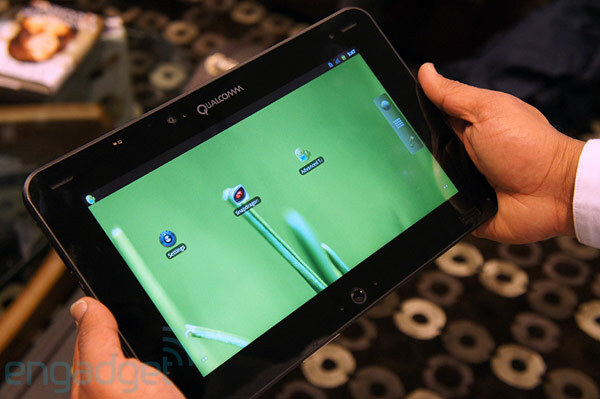 It looks like Qualcomm is set to introduce a new Android development tablet named the S4 Liquid. 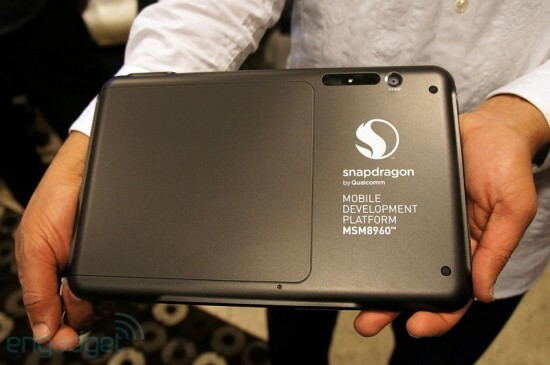 As you might be able to tell from its name the tablet houses a chipset from Qualcomm’s high-end S4 series, the dual-core MSM8960. Soon after Google unveiled the Samsung Galaxy Nexus, it was reported that the LTE version on Verizon would carry a bit more girth than the 8.9mm HSPA+ version of the device. The exact figure remained a mystery…until now, that is. 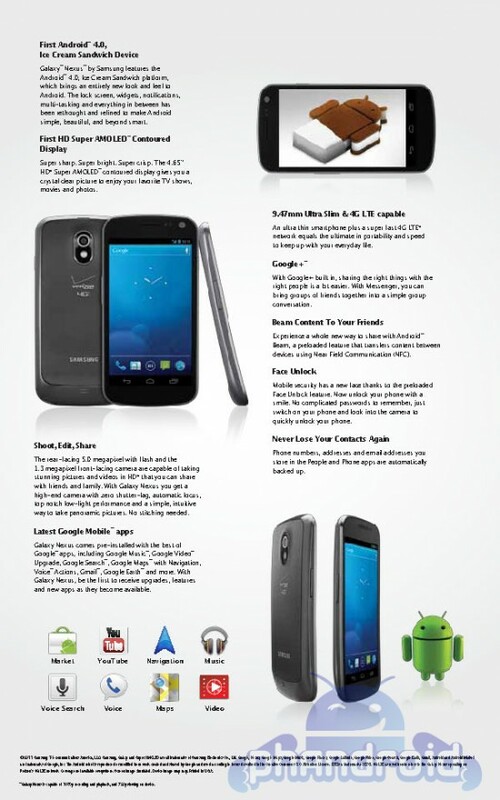 Google has updated their US Galaxy Nexus site with the phone’s specs and an interactive 360 degree view of the device. With LTE packed inside, the GNex measure in at 9.47mm. That is less than a millimeter of additional thickness, hardly adding to the phone’s overall footprint. The LTE version of the phone also gets a slightly bigger battery at 1850mAh compared to the GSM versions 1750mAh battery. The additional size brings the weight up to 150 grams. The thickness is again confirmed on material arriving in some Verizon stores, namely a poster detailing the upcoming Android 4.0 handset. The arrival of such materials further suggests that recent rumors of a launch sometime next week (before Black Friday) might just pan out. AT&T’s just dropped a bombshell of goods for their Android fans and those who are waiting for their 4G LTE network. Let’s start off with the smaller stuff. On November 20th, we’ll be getting both the Samsung Captivate Glide, a QWERTY enabled Samsung phone (though we’re not sure if they’re classifying it as a Galaxy S phone) and the Samsung Doubletime, another QWERTY device. Sweet! Athens, Ga., Atlanta, Baltimore, Boston, Charlotte, Chicago, Dallas-Fort Worth, Houston, Indianapolis, Kansas City, Las Vegas, Oklahoma City, San Antonio, San Juan, Puerto Rico, and Washington, D.C.
Those are some major cities and we expect many more will be headed our way past that. 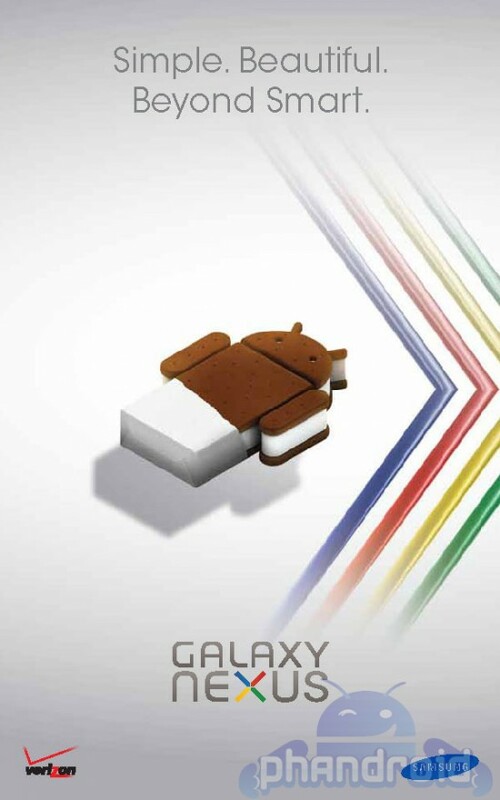 Read on for full press details regarding the Galaxy Tab 8.9. Hit this Twitter link for confirmation of the phone launches. · AT&T* introduced its second 4G LTE-enabled tablet for customers, the Samsung Galaxy™ Tab 8.9, an ultra-thin tablet perfect for Android fans who want an optimized Honeycomb experience in a best-in-class form factor. 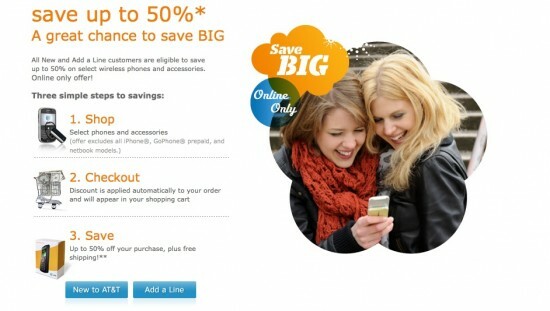 · Customers can purchase from AT&T stores and online beginning Nov. 20. · For a limited time, customers who select a Samsung Galaxy Tab 8.9 will receive a Samsung Galaxy S™ II Skyrocket or Samsung Galaxy S™ II smartphone at no cost. A two year agreement is required on the smartphone. · Additionally, AT&T will launch 4G LTE (Long Term Evolution) in six new markets on Nov. 20: Charlotte, Indianapolis, Kansas City, Las Vegas, Oklahoma City, and San Juan, Puerto Rico. 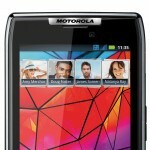 · The Nov. 20 launches will expand AT&T 4G LTE to 15 markets total, meeting its 2011 market commitment. AT&T plans to reach 70 million Americans by year-end 2011. · AT&T offers the only devices capable of 4G speeds utilizing both 4G LTE and HSPA+, for a consistently fast connection in and out of 4G LTE areas. 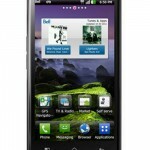 · AT&T topped its goal to offer 20 4G devices this year. 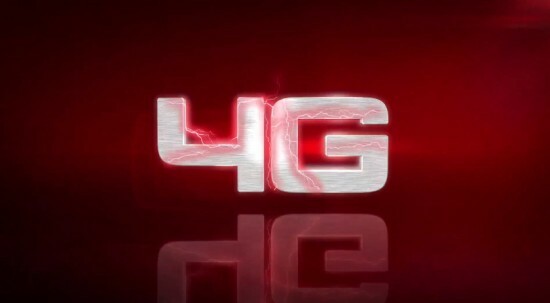 The addition of the new 4G LTE devices brings the 4G device total to 24. Exclusive to AT&T customers, the 4G LTE Samsung Galaxy Tab™ 8.9 is a slim, lightweight tablet, running Android™ 3.2 and packed with optimized services from Google, AT&T and Samsung. The new tablet features a vivid 8.9-inch 1280×800 pixel high-resolution screen, powerful processor 1.5 GHz dual-core processor for fast multi-tasking, and tabbed browsing with support for HTML 5 and Adobe® Flash® Player. Samsung Galaxy Tab™ 8.9 will arrive in AT&T company-owned retail stores and online Nov. 20 for $479.99 with a two-year commitment. For a limited time, customers who select a Samsung Galaxy Tab 8.9 will receive a Samsung Galaxy S™ II Skyrocket or Samsung Galaxy S™ II smartphone at no cost. A two year agreement is required on the smartphone. Learn more at www.att.com/tablets. · Postpaid: $14.99 for 250 MB or $25 for 2 GB. Customers on the 2 GB plan who exceed their monthly data plan will be charged $10 per 1 GB of overage. Charges will appear on customers monthly wireless statements offering the simplicity of a single bill. · Prepaid: $14.99 for 250 MB or $25 for 2 GB. Customers on the 2 GB plan who exceed their monthly data plan may choose to purchase an additional 2 GB for $25. Charges will appear on customers credit card statements. AT&T 4G LTE smartphone customers can choose from tiered data plans starting as low as $15 per month. Existing smartphone customers do not have to make changes to their data plan. All plans include access to AT&Ts national Wi-Fi network of more than 29,000 hotspots. · DataPlus provides 200 megabytes (MB) of data for just $15 per month. An additional 200 MB of data usage is $15. · DataPro provides 2 gigabytes (GB) of data for $25 per month. An additional 1 GB of data is $10. Customers who want to use their device as a mobile hotspot can sign up for DataPro 4GB for $45 a month, which lets you tether or share your data connection across multiple devices. With the Nov. 20 launches, AT&T 4G LTE will be available in 15 markets: Athens, Ga., Atlanta, Baltimore, Boston, Charlotte, Chicago, Dallas-Fort Worth, Houston, Indianapolis, Kansas City, Las Vegas, Oklahoma City, San Antonio, San Juan, Puerto Rico, and Washington, D.C.
AT&T is the only U.S. carrier providing 4G using both HSPA+ and LTE technologies. HSPA+, when combined with enhanced backhaul, provides customers with compatible devices 4G speeds, meaning customers get a faster and more consistent 4G experience, even when outside of an AT&T 4G LTE area. Customers of other carriers that have transitioned to 4G LTE without further speed upgrades to their existing networks are likely to see a jarring drop-off in speeds when they move out of LTE coverage. "The arrival of the Samsung Galaxy Tab™ 8.9 adds to our outstanding Android lineup and our growing portfolio of premier 4G LTE devices," said David Christopher, chief marketing officer, AT&T Mobility and Consumer Markets. "Were constantly adding new 4G LTE coverage and only AT&T offers 4G LTE plus 4G speeds through our HSPA+ network." Limited 4G LTE availability in select markets. 4G speeds delivered by LTE or HSPA+ with enhanced backhaul, where available. Deployment ongoing. Compatible device and data plan required. LTE is a trademark of ETSI. Learn more at att.com/network. Handset Offer: Offer is available November 20, 2011 through January 7, 2012. No two year commitment required for the tablet when purchasing the tablet at an AT&T company owned retail store. Online purchases require a two year commitment (see promotional tablet pricing below).. Samsung Galaxy S™ II Skyrocket or Samsung Galaxy S™ II smartphone requires new 2-yr wireless agrmt of $39.99 or higher and min $15/mo data plan. Wireless Service: Subject to Wireless Customer Agrmt. Coverage and svcs not avail everywhere. Credit approval reqd. Activ. fee $36/line. Geographic, usage, and other terms, conditions and restrictions apply, and may result in svc termination. See store or visit att.com for complete details and coverage maps. Data: Min $15/mo, 200MB, data plan required. If you exceed your initial 200MB allowance, you will automatically be charged an overage of $15 for each additional 200MB provided. All data allowances and overages must be used in the billing period provided or they will be forfeited - details att.com/dataplans. Regulatory Cost Recovery Charge up to $1.25/mo. is chrgd to help comply with govt obligations and chrgs; it is not a tax or govt reqd chrg. Early Termination Fee (ETF): After 30 days, ETF up to $325 based on device (details att.com/equipmentETF). Restocking fee up to $35. Taxes and other charges apply. Handset Offer cannot be combined with any other equipment promotion, discount, or other offer. Subject to availability limitations. Tablets must be returned within 14 days of purchase. If tablet is returned within 14 days of purchase, customer will be charged the two year commitment price for the Samsung Galaxy S™ II Skyrocket of $249.99 or the Samsung Galaxy S™ II of $199.99. 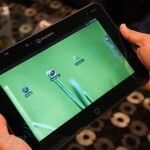 Promotional tablet pricing requires a two-year agreement and a minimum $35 a month 3 GB DataConnect Plan for tablets. If you exceed your initial 3GB allowance, you will automatically be charged an overage of $10 for each additional GB provided. All data allowances and overages must be used in the billing period provided or they will be forfeited - details att.com/dataplans. Coverage not avail everywhere. Credit approval reqd. Geographic, usage, and other terms, conditions and restrictions apply, and may result in svc termination. Early Termination Fee (ETF): After 30 days, ETF up to $325. Restocking fee up to 10% of sales price may apply. Equipment Fee may apply if service is canceled within 30 days of purchase - details att.com/returns. Regulatory Cost Recovery Charge up to $1.25/mo. is chrgd to help comply with govt obligations and chrgs; it is not a tax or govt reqd chrg. Taxes and other charges apply. See store or visitatt.com for complete details and coverage maps. AT&T Data Plans for Tablets. Postpaid DataConnect Plans are billed monthly and automatically renew every month, unless you cancel service prior to the start of the monthly renewal. No term commitment or termination fees apply (with no service commitment plans). Overage charges apply if the monthly data allowance is exceeded. Offer not available for on-tablet activation. Credit check may be required. Geographic and other restrictions apply. Session Based DataConnect Pass Plans for Tablets: Time begins expiring immediately upon purchase/activation, whether you are using the service or not. Once your time expires or the allotted data is used, whichever comes first, your data access will cease. 30-day domestic plans automatically renew, unless you cancel auto-renewal. Fees are non-refundable. Other restrictions apply. For full terms see DataConnect Pass Wireless Data Services Agreement on att.com/wirelesslegal. CRU and IRU customers must purchase a qualifying DataConnect Plan for Tablets. Verizon 4G LTE Coming To Ohio and Pennsylvania On Dec 15th – Did Your City Make The Cut? Earlier today we told you guys about some Verizon customers in VA that would soon have the 4G LTE switch turned on in their cities and now it seems a few more states have been added to the fold. Everybody, welcome Ohio and Pennsylvania who will have access to 4G LTE data come December 15th. Welcome to the LTE club, guys! Now you can record and share all your embarrassing holiday HD videos under a blanket of blazing fast Verizon 4G. Any of our readers currently residing in any of these future 4G cities? Apparently some new and current AT&T customers have been getting an exceptional deal on one of AT&T’s latest LTE smartphones. We reported a few days ago that the Samsung Galaxy S II while normally $250, can be scored for only $150 in some areas. LogicBuy’s 50% also applies for accessories as well (max quantity of 4) so you might want to pick up a few while you’re at it. If you’re a “special area” and only looking to upgrade, you can still pick up the Skyrocket for around $150 which still isn’t too bad at all. Let us know if you’ve successfully managed to snag a Skyrocket for $75 in the comments! Protip: Use Safari or Internet Explorer if the deal isn’t working in Chrome. 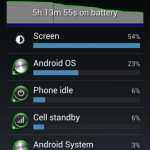 With a 4.65-inch 720p display, dual-core processor, and LTE radio, battery life was never expected to be a strong point for the Samsung Galaxy Nexus That is why a look at the above screenshot might offer some of the best news about the handset yet. 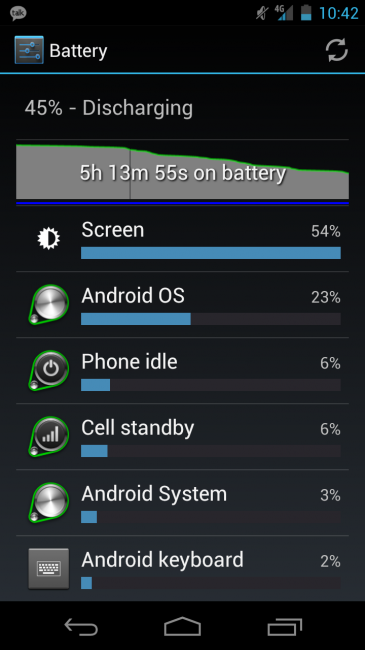 After over five hours of heavy web surfing with the display brightness maxed out, this particular LTE Galaxy Nexus still held 45 percent of its charge intact. That should equate to an additional five hours of use, roughly. The results provide hope that under average daily use, the GNex will hold a charge long enough to last through the better part of the day, or at least the waking hours. At this point, I’m sure many would take any amount of battery life to own the next pure Google handset or simply learn of an accurate release date. 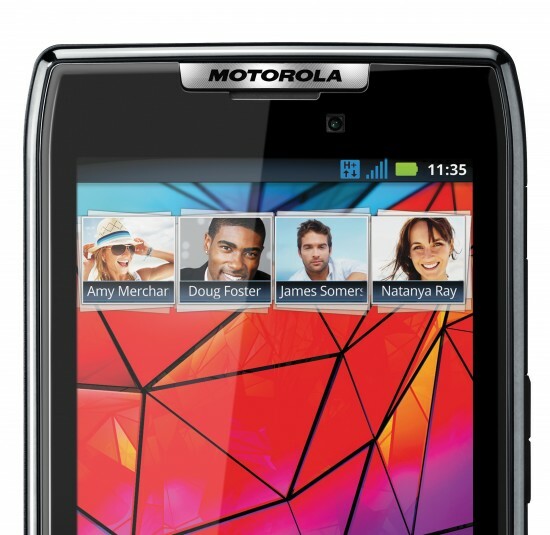 Good news for those with the Motorola Droid RAZR on pre-order. Reports are coming in from all corners that units are now shipping from Verizon, with many scheduled to arrive on doorsteps a tomorrow, a day ahead of the RAZR’s official November 11th release (who was going to wait until 11:11AM anyway?). The ultra-thin, dual-core handset with LTE connectivity is just the first of quite a few big holiday releases from Verizon, and if you are patiently awaiting your order to ship you can pass the time by joining in on the buzz over at Android Forums. You could also pass the time by taking a look through the Droid RAZR’s instruction manual, which has been uncovered on Verizon’s site. Then all you will need to do is open the box, power up the phone, and start enjoying the speed and beauty of Motorola’s latest darling. 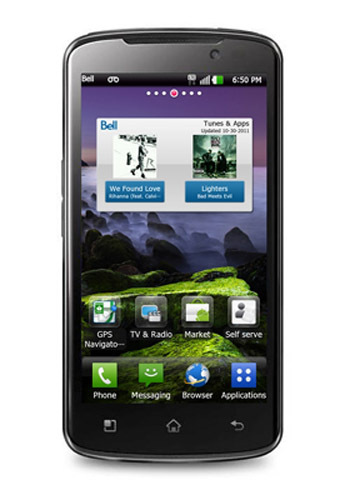 LG has released a short press release confirming to everyone that Bell in Canada will be getting the LG Optimus LTE This is great news for anyone on Bell (and those in Canada period) who were wishing they’d be getting a 720p device. If you don’t remember, the LG Optimus LTE boasts a 4.5 inch 720p HD resolution display, something that appears to be getting more common in new phones as the holiday months move on. It will also obviously have LTE radios for 4G inside. 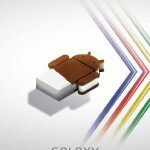 Samsung Galaxy Nexus Will Launch December 8th at Verizon?